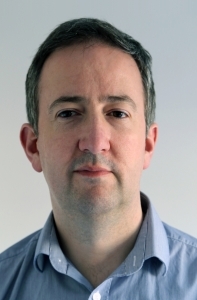 Dr. Derek Molloy is a senior lecturer in the School of Electronic Engineering, Faculty of Engineering and Computing, Dublin City University, Ireland. He lectures at undergraduate and postgraduate levels in object-oriented programming with embedded systems, digital and analog electronics, and 3D computer graphics. His research contributions are largely in the fields of computer and machine vision, 3D graphics and visualization, and e-Learning. Derek produces a popular YouTube series on the BeagleBone platform and a wide variety of embedded Linux topics. His videos have introduced millions of people to the BeagleBone, embedded Linux, and digital electronics topics. In 2013, he launched a personal web/blog site, visited by thousands of people every day, which integrates his YouTube videos with support materials, source code, and user discussion. Derek has received several awards for teaching and learning. He was the winner of the 2012 Irish Learning Technology Association (ILTA) national award for Innovation in Teaching and Learning for his learning-by-doing approach to undergraduate engineering education, which utilizes electronic kits and online video content. In 2012, he was also awarded the Dublin City University President’s Award for Excellence in Teaching and Learning, as a result of fervent nominations from his students and peers. You can contact me by e-mail using the form below; however, please be aware that I receive several hundred e-mail and message board requests every week and I cannot physically answer them all and continue to create new content (and perform my full-time job and mind my four children!). If at all possible, please post your question against one of the topics on this site (and feel free to answer the questions of others that I may have missed). Thanks for your understanding, Derek.